The residences at Enclave feature striking, modern exteriors and open floor plans that make a bold statement. Inside, you'll find decked-out floor plans with European-style cabinetry, quartz or granite countertops, hardwood floors and high-end appliances. Choose from a wide array of designer curated colors and finishes so you can tailor your home to your personal sense of style. 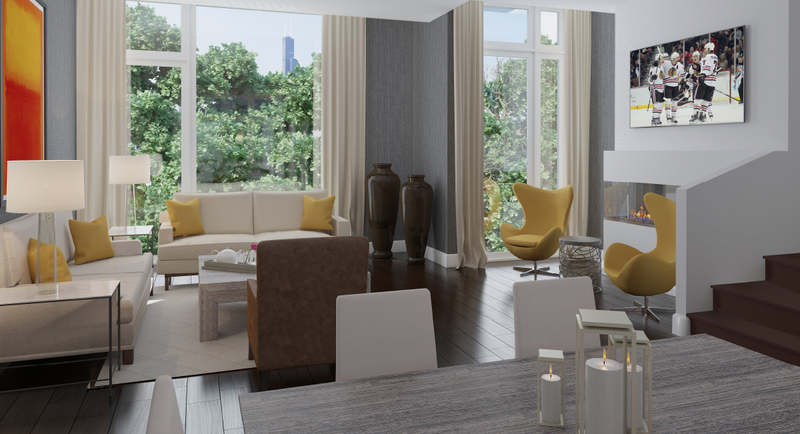 Enclave has everything you need to fully enjoy your home, for years to come. Enclave's policy of continued attention to design and construction requires that all specific designs, specifications, features, amenities, and materials are subject to change without notice. Topographic and site plan depictions are for conceptual purposes only based on current development plans, such depictions and development plans being subject to change without notice. Room dimensions are approximate and may vary depending on residence selected. Depicted floorplans, landscaping and exterior styling are only artist's interpretation and are subject to change without notice.